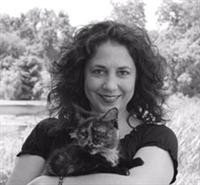 Dr. Jodie has been a small animal practitioner in the Muskego area for 23 years. She is a 1987 UW-Madison graduate. Animal Doctor is a unique veterinary care facility which discourages excessive vaccinating, supports natural nutrition and integrates conventional and holistic care to provide the best protocols for your pet's health. We offer well pet exams as well as ill pet hospitalization. Our doctors are experienced in surgery and disease diagnosis as well as veterinary spinal manipulative therapy and acupuncture. We have an extensive array of herbals, essential oils, glandulars and even raw diets in stock. Please visit our website for more extensive information, photos and testimonials. We are excited to meet you and your pet! I sincerely trust Dr. Jodie and have been taking my boxer girl Stella to her for years now, she truly is a wealth of knowledge and is the reason I still have my girl to this day. I highly recommend her and her staff to everyone.